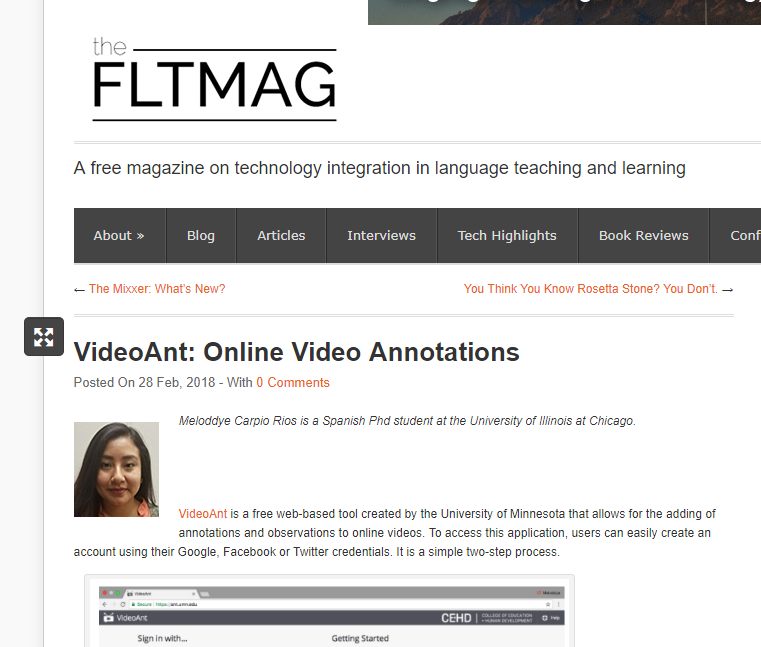 Congratulations to Meloddye Carpio Rios whose review of VideoAnt written for LCSL 505 in Fall 2017 was recently published in the FLTMAG! Read Meloddye’s review here. Interested in using VideoAnt in your course? The LCLC can help you figure out how.